The CD transport would make an interesting business school case study. Its market performance over the years has seemingly had relatively little to do with the product’s own identity and functionality and has instead been at the mercy of the shifting winds of how high-end audio approached digital playback. Briefly: early consumer CD playback was via CD players, which served what we later came to view as the separate transport and DAC functions. Digital output via TOSlink and S/PDIF as interface protocols were offered subsequently. 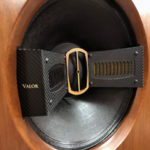 The high end being the high end, digital playback soon evolved to separates, initially with standalone DACs that you could connect to a CD player and, soon enough, standalone transports to connect to those DACs. TOSlink and S/PDIF were joined by AES/EBU and occasionally by I2S or a proprietary connection interface. Around the time of SACD’s introduction (1999), there was a gradual shift back to one-box players, in part because that was pretty much the only way you could play SACDs. I have some recollection of an emerging argument around that time that one-box players were out-performing separates for Redbook CD, at least at some price levels, perhaps because they could avoid or at least simplify the interface protocol mess. One thing for sure, the aftermarket third-party modification scene was hopping. The big inflection point for the transport market and the start of its steady decline was the emergence of digital file playback (computer audio), which precipitated the decline of CDs. This shift was accelerated among audiophiles by the growing availability of lossless and high-rez downloads and, eventually, CD-quality streaming. Game over, pretty much. I jumped into computer audio with both feet early, fairly certain the benefits would be many. Convenience was an obvious hook – having my entire CD collection at my fingertips. There was eliminating physical media, as CDs and their packaging had become an increasing source of clutter. I think the real pull was a vague expectation of better sound, plus the excitement surrounding it all, the sense of being on the brink of new discoveries. 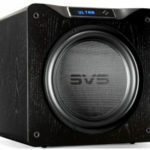 I paid attention to the thought leaders in the field and, when the Computer Audiophile website launched, I spent a lot of time in its forums. There were some very smart people there. With computer audio, I expected that whatever merit there was, if any, to the CD tweaks that emerged over the years (green pens, optical treatments, CD mats and weights, demagnetizers, etc. ), not to mention the usefulness of up sampling, different transport mechanisms, and so forth, all would be obviated by file playback. Playing physical media was obviously flawed. If I was reading the file from a hard drive into RAM, issues resulting from reading an optical disc were no longer in play. It would be as if I had deployed all of those tweaks (a few of which I had tried) and then some, and to their maximum effect. Oh boy, this is going to be great, thought I.
Ahh…not so fast, pal. You’re an audiophile, don’t you know things don’t work that way? File playback proved to be its own can of worms. For most consumers it was, of course, nothing of the sort – it was pretty much all upside. But for us audiophiles, we began to find that sonic improvements (and degradations) were coming from all sorts of areas. From every area, it turned out, or so it seemed. Mac or PC or purpose-built box. Playback software from iTunes to Amarra to Audirvana, JRiver, Roon. Network components and isolation devices. Power supplies, of course. And a host of other variables to play with. 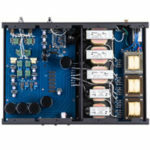 Connecting to your DAC via USB vs. S/PDIF vs. I2S or Ethernet – this one rose to the level of a religious argument in some quarters. Everything makes a difference became the mantra. Same as it ever was in audiophile land. Early in 2016, I helped organize a DAC listening session for the San Francisco Audiophile Society (SFAS). We listened to a range of DACs via their USB inputs for consistency. The server was a new Mac Mini modified with Mojo Audio’s external linear power supply and internal filters. Playback software was Amarra Symphony, with files stored on an internal 1TB SSD. SFAS members supplied all the DACs under test so that we were not beholden to manufacturers or dealers. One member brought his Audio Note DAC (3.1x Balanced), which did not support USB, so we relegated it to the end of the session and used an Audiophileo 2 S/PDIF converter to listen to it. This member also brought his Audio Note transport because he believed, as Audio Note does (or did), that physical media trumps file playback in the real world. So, after trying the DAC via the S/PDIF converter, and after most of the crowd had thinned out, we put his transport in the system and had a listen, first to the CD I had made of the files we used in the day’s evaluations, and then to some other CDs. Well, darned if playback through the transport didn’t have something different and decidedly better going on. More body and substance are what stood out in our brief listen. Had I been too quick to embrace computer audio without being sure that I wasn’t taking a meaningful step backward sonically vis-à-vis disc playback? I no longer had a CD player or transport in house, but the Audio Note experience persuaded me that I should to do a sanity check to make sure that I hadn’t thrown out the baby with the bathwater, so to speak. While there are certainly cheaper transports than the $6K PS Audio (I could have used a CD or DVD player, after all), I was drawn to PS Audio’s DirectStream Memory Player. Here was what I perceived to be a serious modern attempt at a transport and then some, offering some uncommon and perhaps unique capabilities and technologies. And it isn’t in the unobtainium price strata. When I asked PS Audio about a loan, Bill Leebens, Director of Communications at the company, practically insisted I also take their DirectStream DAC with the transport, as the two together offer some unique benefits. Twist my arm, why don’t you. For a guy who enjoys streaming Tidal, you seemed to miss the great function of the Bridge on both units. I am using my iPad to control the bridge using mConnect app for both Tidal MQA and also vTuner internet radio. With the vTuner, you have thousands of radio stations at your disposal for streaming through the DAC. My Harbeth speakers are doing a great job along with my Bryston integrated amp., all bought through Andy Singer at Singer Sounds in NYC. It is a very balanced synergistic system! I hardly ever bother with CDs anymore myself! Thanks for your comment, Alan. I’m not sure I understand your point, though. I use Tidal integrated with Roon, so they both originate from the Mac Mini and I control them with the Roon app on an iPad. Are you suggesting I should instead access Tidal directly via the Bridge on the DS DAC? Not sure I see an advantage, especially since Roon-Tidal integration is a “killer app” as it is, but let me know what you are thinking. Also, when you say, “the great function of the Bridge on both units,” what are your referring to with respect to the Memory Player? Thanks for the great review. Were you able to compare the Bridge II ethernet playback from your mac mini compared to the MicroRendu and power supply? Hi Shahram and thanks for your comment. I did compare the two and found it to be fairly close, but I am taking a second listen to that comparison this week. I didn’t want to complicate the main review by addressing it, but it is a worthwhile topic. Given the added expense of the microRendu plus power supply (~$1K), it would need to clearly better the Bridge to be justified, assuming you already have the Bridge. 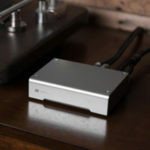 I’ll add that over the many years I’ve been playing with computer audio, I feel the microRendu is the most significant sonic improvement of any I’ve tried, including DACs, cables, the Berkeley USB converter, and many different playback software products. Then, adding the LPS-1 power supply was almost as great an improvement on top of it. Thanks for the kind words, Hoyt. Also, bonus points for the Seinfeld reference, which always scores big with me. What you are saying is true, but see my reply to the comment above. I agree that PS Audio may benefit from underscoring this benefit more explicitly in marketing materials. I also sympathize with all players in this field (including and especially consumers) as they struggle to talk about this stuff. File playback and streaming services have ushered in a level of complexity and confusing terminology that’s hugely more challenging than anything we have seen in audio ever. Or maybe it’s just me. Excellent comments, very well said. I’m giving thought to trying to come up with a simplified, plainspoken overview of the category myself, not because I’m the right person for the job but because somebody has to do it.